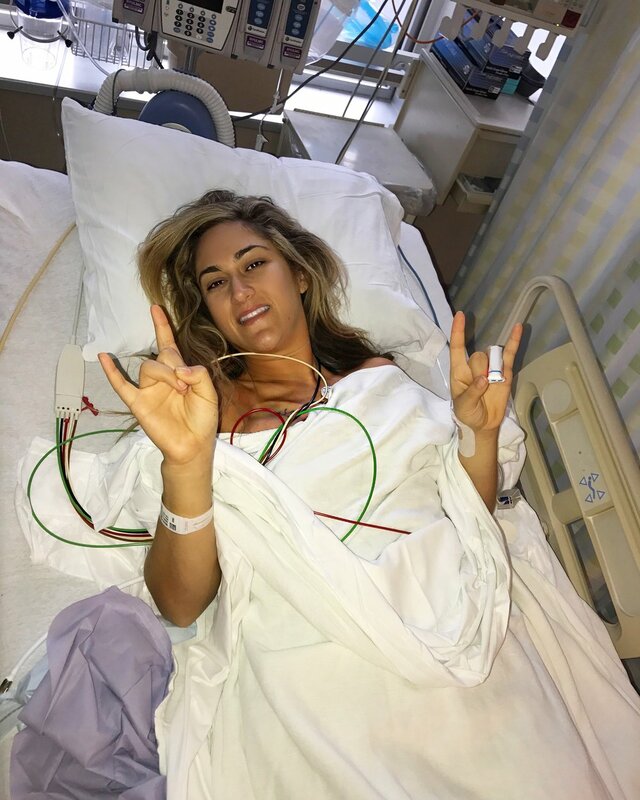 Waking up the morning of my preventative double mastectomy was the most surreal. I didn't feel like I could let my family know that I was scared, so I went with the super-fake-I-am-so-strong-and-ready-route. So I convinced myself that I was anxious but in the excited way. I felt like a little kid waking up on Christmas morning. My surgery was set for 7 am so we had to get to the hospital early! Thank goodness Justin was there to hold my hand. When they called my name I walked through the doors into a VERY small room where I changed out of my clothes into a hospital gown. My mom and dad could barely fit in there with me. My Oncologist came in. The Anesthesiologist. My plastic surgeon. Before I knew it, it was time. One of the nurses told me to say goodbye to my family. Goodbye? The reality set in and I couldn't hide my fears any longer. I hugged my mom and dad and then collapsed into Justin's arms with tears pouring down my face. But he whispered to me that I could do this. That I was strong. That I was ready. So I gave my family one more hug and kiss and followed the nurse. 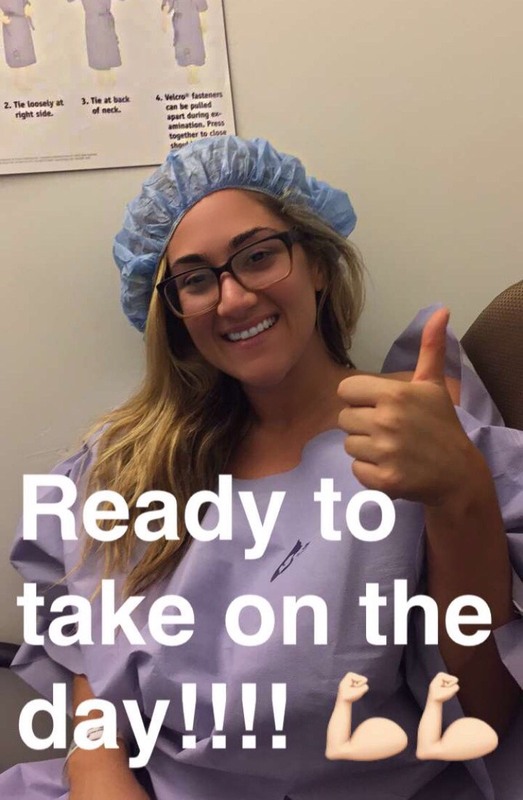 What NO ONE tells you is that you have to walk yourself into surgery. Yeah, you read that correctly. It was shocking and completely horrible. I wish someone had warned me that I wasn't going to be rolled in. But in retrospect, it kinda makes you feel like a total badass warrior. But at the time, it was horrible. The nurse tells you to introduce yourself to a room of nurses and your doctors who are too busy to even notice you are there. I remember walking toward the operation table and looking up at ALL OF THE LIGHTS. I truly felt like I was on the wrong side of a Grey's Anatomy episode. Tears were still streaming down my face when the Anesthesiologist held my hand and told me that everything was going to be OK. Before I knew it, surgery was over and I was OK. In fact, I was stronger than ever!